At American Dream we understand the distress that thinning hair & hair loss can cause. In addition to wigs & patches, we offer tried & tested treatment products. Jenoris' Intensive Treatment for Thinning Hair & Hair Loss works to restore hair growth at the root. 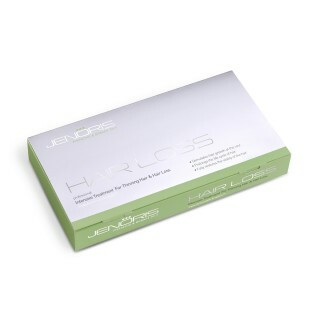 Use with Jenoris Hair Loss Shampoo for best results. Boost performance with Heat-Treat Cap - a fully transportable hot cap that, worn over Jenoris treatment to multiply adsorption of the good stuff!